How we dispose of plastics has become a contentious issue lately, especially with images circulating on social media of the effects that plastic waste has on marine life and the environment. Documentaries such as Blue Planet II have also helped bring the problem to the public’s attention, as well as the work of charities like Surfers Against Sewage. Back in October 2015, the Government introduced a 5p bag charge to retailers with more than 250 staff. Although it was seen as a radical move at the time, the Department for Environment, Food and Rural Affairs has reported an 86% fall in the number of disposable bags issued by participating supermarkets since it started. Now, Prime Minister Teresa May is considering extending the scheme to retailers of all sizes and increasing the charge. Elsewhere, Tops Day Nurseries made headlines this year for banning the use of glitter in their settings due to its harmful effect on the environment. The nursery chain is rapidly working towards becoming ‘the most eco-sustainable childcare provider in the UK’. So far, they’ve taken initiatives such as replacing plastic milk bottles with glass ones, stopping the use of plastic gloves and investing in bamboo toothbrushes. Are we heading towards a plastic ocean? Environmental charity Greenpeace has warned that the equivalent of one truck-worth of plastic is emptied into our oceans every minute of every day. The problem of plastic is very real and, if current trends continue, there will be more plastic than fish in the sea by 2050. It’s alarming to think that even something as small as a plastic straw can take up to 200 years to decompose, according to global movement 4Ocean. Plastic bottles can take even longer, with an estimated decomposition time of 450 years or more. From the 24th to the 30th September, recycling charity WRAP is promoting Recycling Week. The theme of this annual event is “Recycling. We do. Because it matters.” The organisation hopes to change people’s recycling behaviours and put across the message about why recycling plastic is so beneficial. 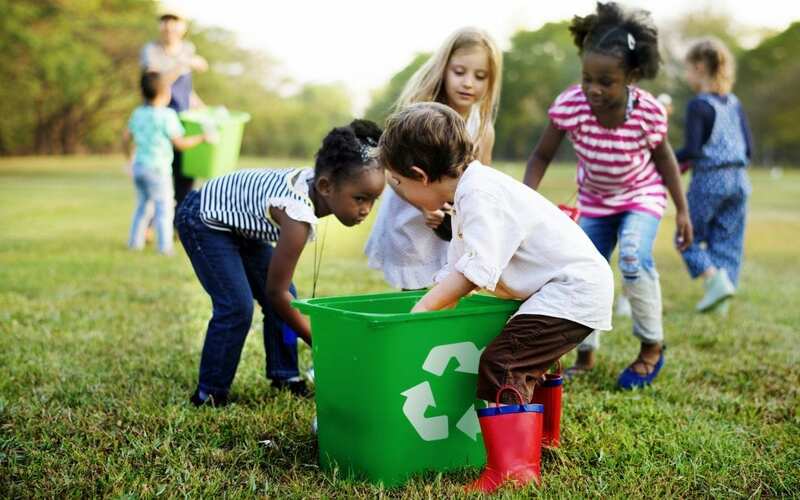 Teaching children about the importance of recycling and how waste can negatively impact the environment is a great driver for future change. It can help youngsters learn about the consequences of their choices and make them more environmentally responsible as adults. Replace single-use items such as plastic straws with reusable ones made of bamboo or metal. Why not extend this to find sustainable alternatives for items like plastic cups, aprons and gloves?